Rara lake trekking is essential Tea house trekking destinations; western part of Nepal. The Trek is newly stabled tea house by Rara Lake national park tourism community. The simple tea house, homestay trek for just 1 to 4 pax in a house, however, if you are planning with the group for Rara lake trekking, or searching deluxe -comfortable? Then you need to do Camping style trek, we lead Rara lake trekking every season, and most of our customer love this trekking because of wilderness and natural beauty with panorama Himalayan views. The National Park ascends from 1800 m to 4480 m forested by conifers. The key of Rara National Park is the pristine Rara Lake, which stands high at the self of 2990 m and spreads over 10.8 sqr km. The bright high altitude lake of Rara, which mirrors the snow-capped the Himalayas ringed with pine, spruce, and juniper forest. 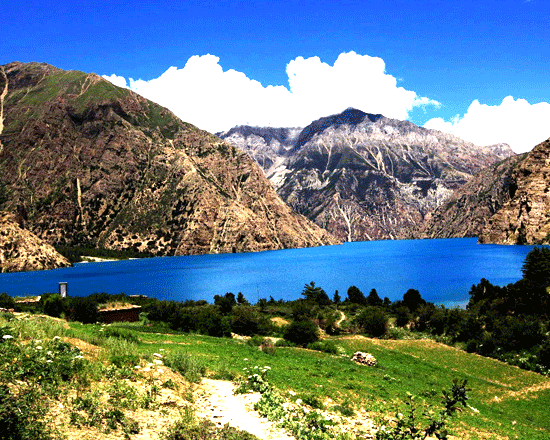 The calm largest lake also renowned as Mahendra Tal is oval shaped. 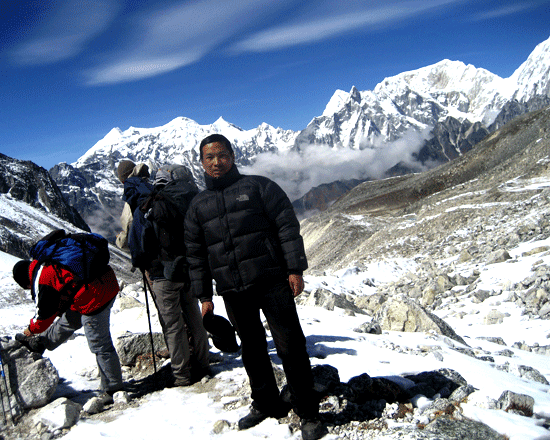 Nepal wilderness treks Lead this trek with the experienced local guide; who is from the same region, the local guide knows better than other others. The guide knows any corners of the trails, peoples, culture, history, vegetation, flora and Fauna. 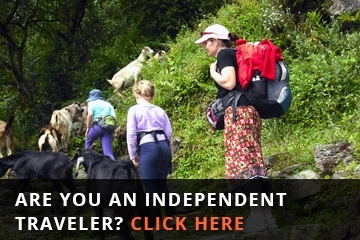 Using a local guide is the best way to go income directly to the locals from your visit. 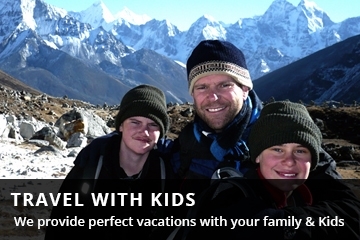 Meanwhile guide and porter family need to get benefits and change to give better educations for their kids, let’s do the trek with us and safe locals family of the area where you are trekking inn. Day 02: Full day sightseeing around Kathmandu, Monkey temple, Buddha Nath and Patan city where you will have time to fascinating Buddhist and Hindu temples and shrines reflecting ancient local tradition are highlighted on my guided tour. Day 03: Fly to Nepalgunj after breakfast and Overnight at a local hotel in Nepalgunj. Day 06: The track beyond Burma keeps high above the river and skirts two small spurs to reach Bhargaon (2890m) in 1.5 hours. After one kilometer at the end of the fields, the track turns north into the tributary stream of Gautham Khola. We cross the stream by a log bridge to the west side and climb to Chautha (3100m) in a forest clearing. After an hour the valley opens out into a pleasant meadow. We keep to the left stream until a western tributary joins it. Before reaching Ghurchi Lagna (3457m), we climb up the narrow gully on the northeast slope and skirt north across a series of spurs to reach Pine (2430m) Overnight at Camp. Day 07: RARA LAKE is only eight kilometers west of Pine. It is a short, pleasant trek with beautiful views to the north. From Pine, we take a trail turning west that transverse a steep north-facing slope. After crossing a stretch of fields, we climb a small spur and descend to the stream. We pass the bridge and climb up to the hamlet of Jhari from Pina (2500m). It will take just over two hours to reach Jhari form Pina. From Jhari, we ascend west along a ridge for about 700 meters to achieve a low saddle in two hours. The large lake is visible directly north of this saddle. From here, it is pleasant descent to the meadows on the south side of the pond. The village site of Rara (3040m) on the north side is an enjoyable two hours walk along the western bank of the lake. Overnight at camp. Day 08: Rest day and explore Rara area- Rara area was designated a National Park in 1975, and it takes about eight hours to walk around the lake. Overnight at camp. Day 09: We walk the lake outlet (2980m) and follow the downstream of Khatyar Gad for an hour. There is a log bridge over the stream below Murma (3139m). Cross the bridge to the south side and climb steadily over the 400 meters to reach an open clearing at 3277 meters. The trail continues climbing south through dense forest until the tree line is reached at 3658m. The ridge extends to the south for another 200 meters, but it is the pleasant trail with a distant view of the mountains. 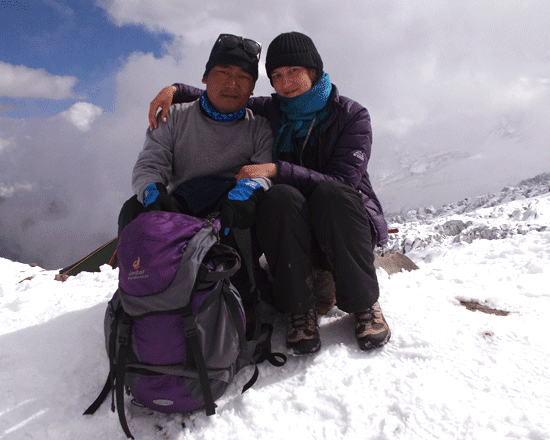 There is no pass on this high ridge, and the path turns south-east at an altitude of 3749m and descends by the east side of Chuchemara Danda. It is a fairly steep descent to Ghorasain (3271m). Overnight at camp. Day 10: From Ghorasain there is the trail down the valley to Botan (2895m). A more exciting path with the better scenic prospect is to climb Diyala Danda due south of Ghorasain. The climb begins immediately west of Ghorasain and takes about an hour through a forest to top the crest at 5351 meters. The trail then skirts south-east above the high fields of Lumsa. There are excellent views to the south along the Sinja valley. 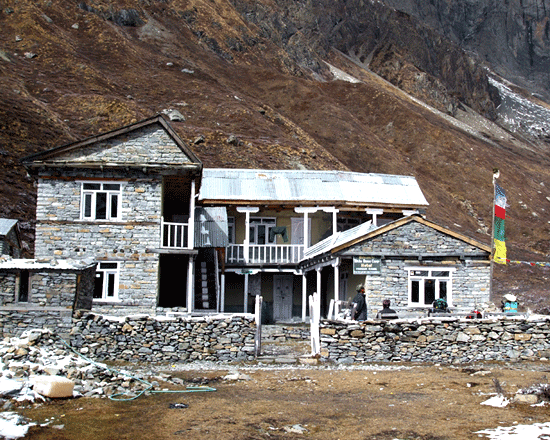 The trail descends to Okharpati village (3100m) on a top shelf above Mindrabali Gad. The descent from Okharpati to Sinja takes less than two hours. Overnight at camp. Day 10: We cross the log bridge over Sinja Khola to the east and follow the south bank of Jaljale Gad beyond Kotgaon near Lamathada. We support the stream for another five kilometers due east. Then we ascend the ridge (2865m) briefly to descend to the same creek again. The trail clings to the south side of the stream all the way for another nine kilometers. The path twists and turns along the flow but it is a pleasant trail amidst forest wilderness. Finally, the trail climbs east along a gully to ascend a pass at 3597m. We descend east along a broad meadow into the headquarters of Ju Gad that drains to Jumla town. Let's east along the stream and transverse another kilometer to Chere Chaur (2987m). Overnight at camp. Day 11: Chere Chaur is a delightful alpine pasture where flowers are in profusion during next summer. It provides excellent views of the Jumla town, Tila Valley and Chyakhure Lekh beyond. The return to the town camp is pleasant descent in slow stages. Overnight at camp. Day 12: fly back to Nepalganj and connecting flight to Kathmandu, Transfer to hotel. Overnight at the hotel. Day 13: Departure Day from Nepal to your home country. We provide you with free transport to international Tribhuvan airport. Airport Pick up/ drop by private car/Van. Bus, depending on group size. Kathmandu hotel accommodation as per your requested peace and clean. All land transfer and flight as per given itinerary. Rara National Park permits, and TIMS allows fees. 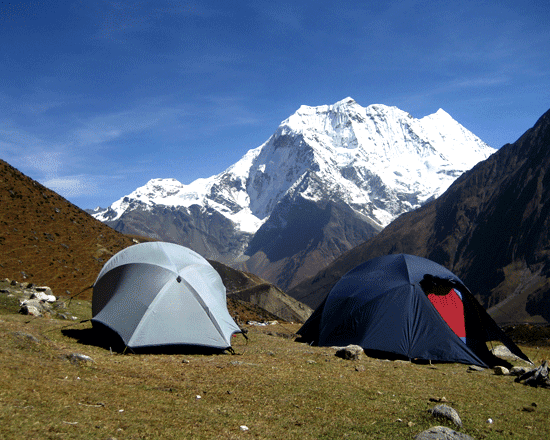 Accommodation and three times meal a day during the trekking. 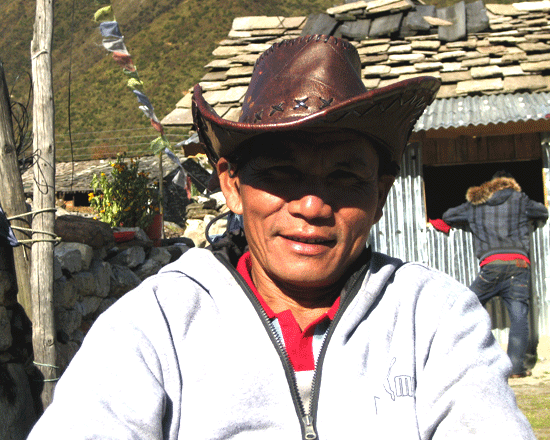 Fully escorted trek with fluent English speaking license holder local Guide, Sherpa. Cook and necessary porters. Travel Insurance (which is covering helicopter rescue). Medical and evacuation in case of emergency. Items of personal nature, i.e., Soft/hard drinks, tips, etc.